PRO version of Hario Mini Mill, top of the range. 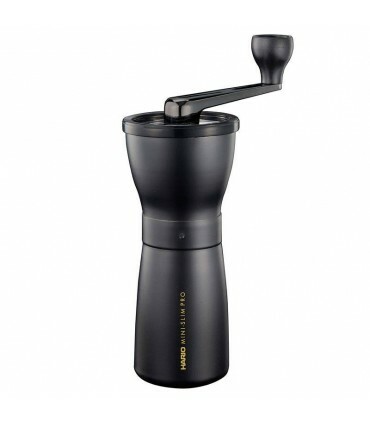 The grinder is compact, solid, and offers a wide grinding range for various brewing methods. Convenient for home use, as well as for travelling. Sturdy, detachable hand with a hexagonal adapter. Transparent lid with a silicone grip. Easily detachable ground coffee container. The upper container holds up to 24 grams of coffee.